In the Museu de Cera affect the more than 360 figures of kings, murderers, popes and other famous personalities almost lifelike as the great model, the waxworks Madame Tussauds in London. 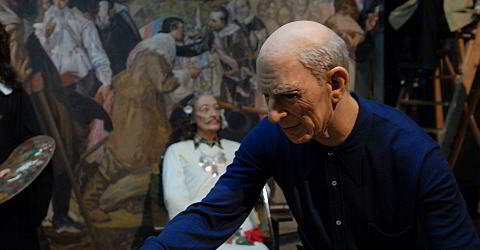 The focus of the wax figures Cabinet in Barcelona is on personalities of the Spanish-Catalan history and the region, but also many internationally known figures are here. The museum is located at the small square of a small alley Pge. de la Banca from the southern part of the Ramblas be reached. The waxworks are located in a magnificent building dating from the 19th Century. It was created in 1973 expanded into a museum. The reconstruction of the former representative building for a credit bank was designed by architect and set designer Enrique Alarcón. His experience was the presentation of the figures it clearly benefited. Especially with children you will have fun in this waxworks. Special tip: Go after the visit of the museum around the corner at the Cafe de les Fades Bosc. They will be like in a romantic fairytale world feel. Sa., Sun., holidays 11.00-14.00 and 16.30-20.30. With the Barcelona Card 20% discount on admission. For the museum you should schedule about 1 hour. Do not forget to visit the" El Bosc de les Fades" café, just a few steps from the wax museum.